We Opened Our Own Shop! The whole website is renewed, and the domain is changed to plugmon.jp (formerly plugmon.org). Soon I’ll set auto-redirect settings on plugmon.org. On the previous post I said “will be finished by the end of November”, but it didn’t take that long at all! Processes were so smooth…surprisingly…. We use the very common shopping system : WooCommerce. You may have encountered similar layout shops elsewhere. It’s simple and you won’t get lost. “Add to cart” and then “Checkout”. You can create your account but you need not necessarily do (You can checkout as a guest). We recommend, however, that you create one so that updating & re-downloading can be done much more smoothly. Re-downloading process was one of the hardest parts on Gumroad. Now it seems easier. So what will happen to existing customers on Gumroad? I wrote an article about that. Please read this page. As described there, you’ll be hardly bothered. Your past purchase will be inherited when you create your account. We’ll continue supporting both Gumroad and our shop in parallel until the customers are well informed of this transition. 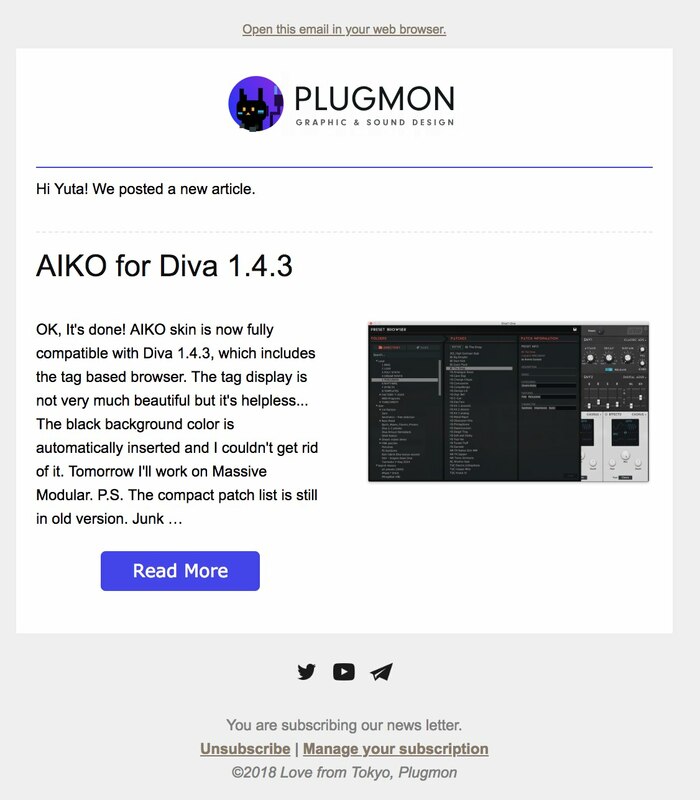 As you see on the sidebar, we started newsletter subscription service. There’re 4 types of news and you can choose whatever combination you like. A newsletter will look like this. Of-course, it never happens that a lot of advertising mails are sent to the Gumroad customers without agreements. We’re not going to have “flash sale” things in the first place. Upon opening our shop, we released 2 new products. Interstellar is a skin for Tyrell N6, a free skin! 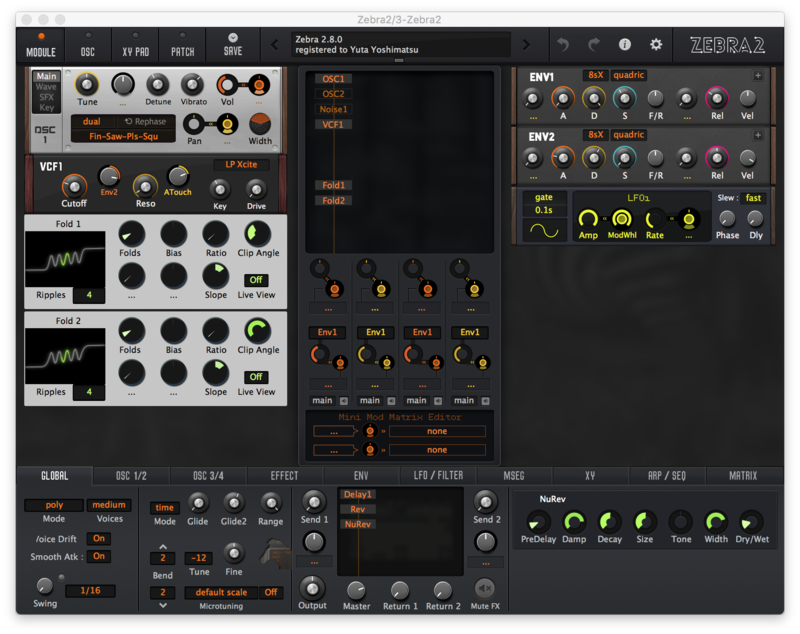 You can experience the “massive modular system” in free environment. And Tokyo Ghost, finally…… I’ll write a single article for this later. I’m glad I’m able to release her at last. She had been waiting for a shop to be built so long. 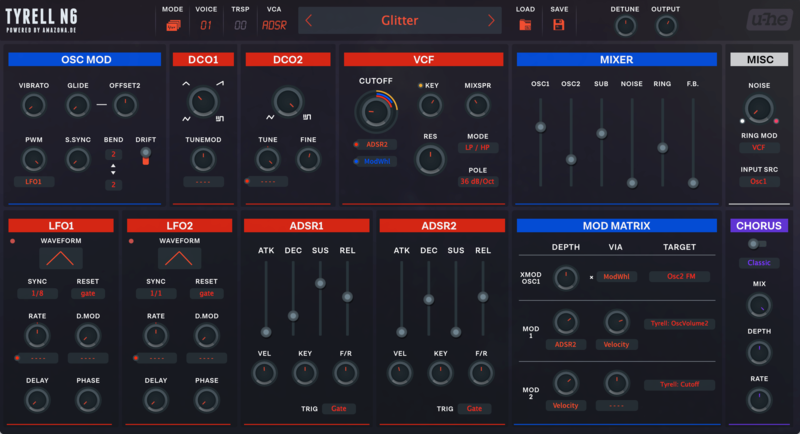 The other day a guy asked me if he could get Pocket Modular skin, the ancestor of Massive Modular and was obsolete years ago. Though I didn’t have any plan of resurrecting it, but I decided to do so. It’s now available on the store, roughly patched to be compatible with Z2.8. It is now *free* and no update will be made in the future. Although this is a celebrating event, at the start we announce this quietly. The brand new shopping system, the new newsletter system, the account migration system… I’m thrilled but at the same time afraid that there might shows up unexpected outcome. If you have any troubles, please contact us either on the contact page or on Twitter. The support is enthusiastic than ever before. Finally, I really appreciate all your interest, feedbacks, comments, replies, everything. We’re still on the way. A new Zebra skin will be released next year. I’m gonna tackle on making preset libraries too. And when Zebra3 is released, there’ll be again exciting updates. I hope you’ll be with us.